<- H.G. Schlegel <- K. Komagata <- ATCC <- NCTC <- H. Magnusson (Corynebacterium equi). Lung abscess of foal; country of origin unknown; sampling date: before 22.08.1990. 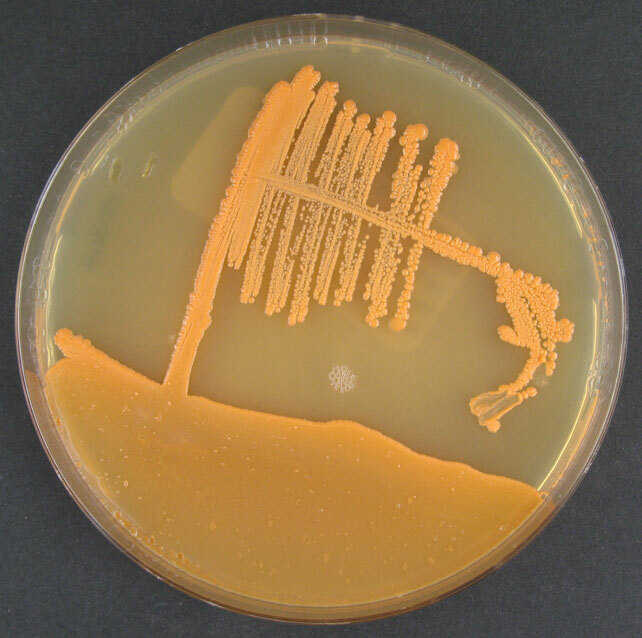 Type strain of Rhodococcus equi. Taxonomy/description (419, 1300, 1305, 17597, 17765, 19005, 19006, 19251). Sequence accession no. 16S rRNA gene: X80614, 16S rRNA gene: AF490539. Polysaccharide: arabinogalactan (885). Murein: A31 (885). Replaces DSM 43349. (Medium 65, 28°C or Medium 535, 28°C).